What is Outward Bound and why is it so important? How can I support TAAV’s Outward Bound experience? Outward Bound is very expensive. TAAV members fundraise all year with a goal of raising approximately $10,000 which usually covers the tuition for an Outward Bound course and are thankful for the support of our community for our flight costs. 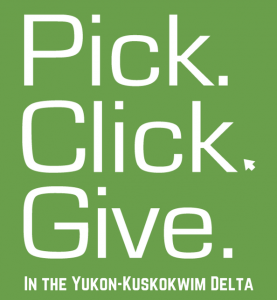 Every year, TAAV members reach out to community members for donations of Alaska Airline miles. One-way trips down state are 20,000 miles on Alaska Airlines. A donation of 40,000 miles will cover one TAAV member’s round trip flight. Unfortunately we can only receive donations in increments of 20,000 miles. IF you would like to donate miles or cash to TAAV please contact the TAAV Coordinators at 907-543-3444 or email kisha_lee@twcpeace.org. TAAV provides valuable, healthy alternatives to violence and substance abuse for youth in Bethel and, furthermore, provides inspirational violence prevention education to the whole YK Delta through peer education and community awareness building. Participants of TAAV have found a program that helps them make sense of their experiences and provides support for living a sober, nonviolent life. What are other ways that community members can support TAAV? TAAV fundraises all year by hosting car washes, selling Krispy Kreme doughnuts, hosting basketball tournaments and more. We appreciate and value all support for our fundraising efforts. Also, TAAV is always looking for guests, elders in particular, to share their insights at a TAAV meeting. Please contact KC or Bridget at 907-543-3444 for more information.